Versión española/Spanish version of Rolandelli's review (without my introduction). Living in York, I have to be careful how I respond to a question like ‘How do English people think of Richard III?’ After all, this city has a museum dedicated to righting the wrongs of the Tudor propaganda that came out of London… Yet, despite Philippa Gregory’s and the BBC’s recent attempts to repackage Richard sympathetically as a smouldering heartthrob, manipulated and maligned, to most he is still the ‘poisonous bunch-back’d toad’ of Shakespeare’s play. 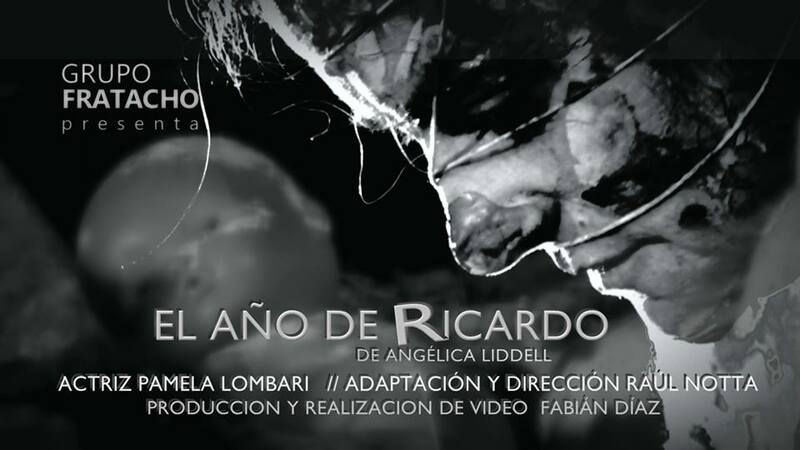 My friend, Adriana, who originates from Argentina, had a specific reason to ask such a question: her sister had been cast as Richard in a production of Angelica Liddell’s free appropriation El Aňo de Ricardo (The Year of Richard). 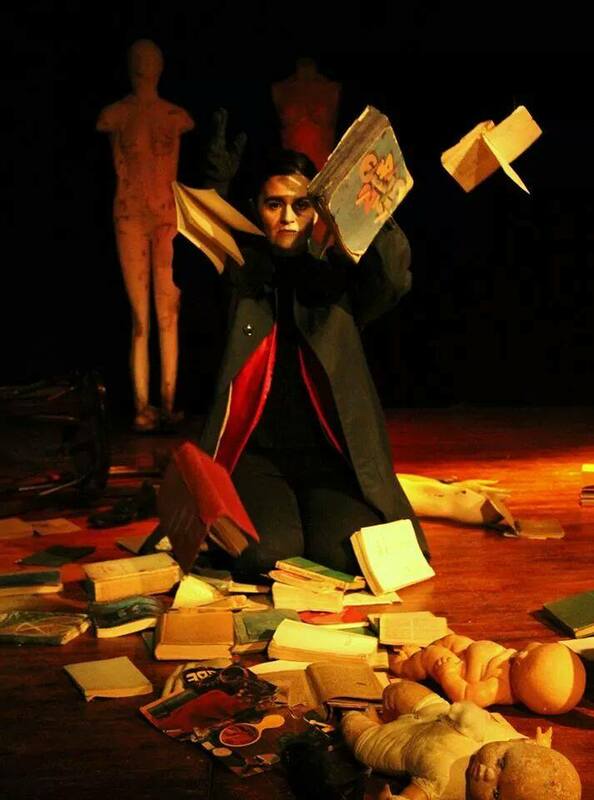 In this monologue, part of Liddell’s ‘trilogía de actos de resistencia contra la muerte’, or ‘trilogy of acts of resistance against death’ , the Spanish playwright and performer re-imagined him as everything that is dark and twisted within the world. The authenticity of a historical Richard is irrelevant here: it is the symbolism that counts. “We identify with him. Ricardo shows us how democratic mechanisms are used to abuse power, cause suffering, and compensate for personal faults,” said Liddell. As the prison of Denmark becomes a parallel for any totalitarian regime in global Hamlets, so the figure of Richard can be seen to stand in for any dictator, from Hitler to Saddam Hussein, but also in Liddell’s work the implication is that he stands in for all that is dark and twisted in the self: we too are complicit, perhaps? Currently running at the Habemus Theatrum in Pergamino this theatre isn’t afraid of putting on challenging productions and its lead actor, Pamela Lombari, is no stranger to challenging roles. This review of the production by Carmen Rolandelli, translated by Adriana Lombari-Bonefeld, gives a flavour of how Shakespeare’s play transforms across time, place and gender. 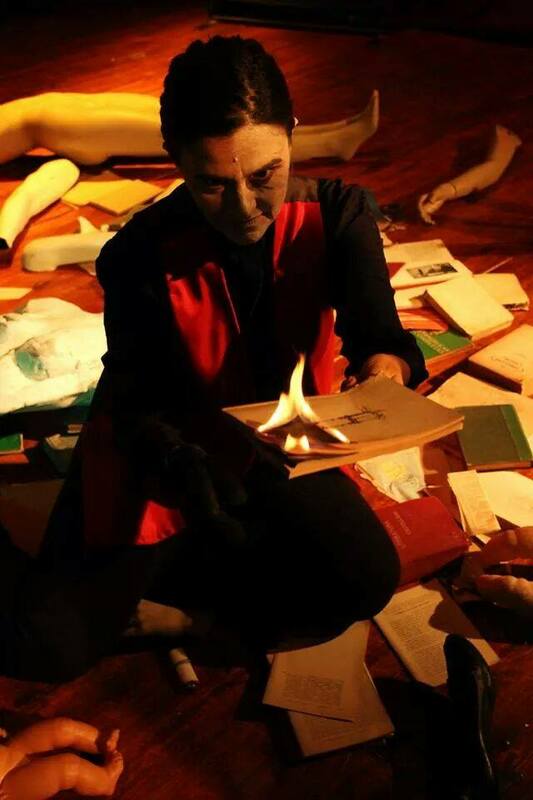 Pamela Lombari’s performance in “The Year of Ricardo” excels. It can be argued that this is her best work but that would detract from the many other important projects that this actress has faced throughout her career. Yet, in this play she has come of age, overcoming her own goals. It is a difficult performance, splitting the action from the word, that Stanislavsky himself considered was so important, when words become alien themselves, displaying the subtext, the cross action of the word. A stark text by Angelica Liddell that is difficult to digest, it is uncomfortable and angry. A ruthless criticism of the social system that goes beyond the disappointments of Liddell, it arrives at a place of absolute disbelief and scepticism, a place that does not give rise to hope. “Dying is as close to the truth as we get,” says the author and from that position generates anxiety in the audience, from that place challenges power. Who speaks in the voice of Ricardo? The perverse capitalism, which excludes, which preys, which feeds his more egregious greed? It presents a cynical look at the only tool capable of transforming reality, politics. But is it not, that voice that mocks the ideology and power of the masses, is not speech the right of the last man? And after that, what? The author does not tell us what after that. Or maybe this, its revealed truth, is nothing more than a desperate cry. “Uninterrupted pessimism makes me distrust the human being,” says the Spanish author but also adds that the overwhelming desire to side with the loser appears. This is, in my opinion, a reaffirmation of the political. It would be good to open a discussion with the public, and that is who Liddell questions and challenges. Raul Notta, responsible for an impeccable adaptation of the play, proves once again his ability to translate complex plays into stage language. His work and drive, keeps the spectator in awe from the beginning. Here, I can say that the concept of “spectator” is present because it is impossible not to be swept away by the action. The message confronts us, making it impossible to remain as passive subjects. On the contrary, it is impossible as a subject not to feel thrown to the depth of the swamp, that makes us angry and uneasy. Beautiful and deep is the intervention of Fabian Diaz, with his aesthetics of the margins, the unspoken words and what underlies his images. Could this be the beauty of the unhappiness and the anguish of Liddell? Hence, this is a confrontational text that leads us to the discussion of our own ideas anchored politically and collectively, and shows the excellent level and place of honour that the theatre in our community must occupy . The year of Ricardo achieved this. Versión española/Spanish version of Rolandelli's review. Excelente trabajo de Pamela Lombari en “El año de Ricardo”. Podría decir que es su mejor trabajo pero sería como desmerecer tantos proyectos importantes que esta actriz ha encarado a lo largo de su carrera. Pero, indudablemente, en Ricardo ha alcanzado su madurez, la superación de sus propias metas. “Un pesimismo ininterrumpido me hace desconfiar del ser humano” dice la autora pero también agrega que aparece el deseo irrefrenable de ponerse del lado del perdedor y esto es, a mi criterio, una reafirmación de lo político. A ese público que Liddell incomoda sería bueno proponerle el debate. Impecable dirección de Notta que elige obras complejas y demuestra, una vez más, su capacidad de trabajo y conducción, y una puesta fuerte, que mantiene al espectador en tensión y acá puedo decir que está presente el concepto de “espectactor” porque es imposible evitar ser arrasado . No es un sujeto pasivo quien se enfrente a esta puesta, a la profundidad de esa ciénaga donde parece que caemos permanentemente, que nos enoja y nos confronta. Profunda y bella la intervención de Fabián Díaz, la estética de los márgenes, de lo no dicho, de lo que subyace. ¿Será esa la belleza de la infelicidad y la angustia de Liddell? Thank you to Paul Edmonson and Blogging Shakespeare for the update and photo! ‘The Ukrainian Shakespeare Centre express our great appreciation of the wholehearted support for our struggle for democracy expressed by the European scientific community. Shakespeare wrote that expectation usually hits “where hope is coldest; and despair most sits” (All’s Well That Ends Well, 2.1.144) and thanks to your inspiring aid we go on fighting, keeping our hope and creative spirit alive. We feel enormous gratitude to you for all the encouraging emails we have received – your warm words reassure us that even in the hardest times we must (like that line just before the end of King Lear) “speak what we feel, not what we ought to say”. And so, rehashing the words of Sebastian from Twelfth Night “We can no other answer make but thanks, and thanks, and ever thanks” (3.3.14-15). We also want to remind you that the members of our Centre are eagerly waiting for your applications for the Fourth international conference “Shakespearean code in the global cultural space: Between call and challenge” which will be held in Classic Private University, Zaporizhzhia, Ukraine on 25-27 September, 2014.You can contact us via uashakespeare@gmail.com for more information. At the moment we are preparing the new issues of our journals “Renessansni studii” (“Renaissance Studies”) and “Shekspirivs’kyi dyskurs” (“Shakespeare discourse”). The journal “Renaissance Studies” deals with the broad range of problems of Renaissance literature, philosophy and culture. The journal “Shakespeare discourse” publishes scientific articles about Shakespeare’s biography and writing, it also casts light upon the issues of reception of the Bard’s legacy (translations, adaptations, parodies, intertextual references, stage versions) and of his influence upon other spheres of intellectual and cultural space (music, painting, education, advertising etc.). If you are interested in the cooperation with us, please, do not hesitate to address the Centre (our e-mail addresses areuashakespeare@gmail.com and renaissance@zhu.edu.ua. All the year round: The mailout campaign “Shakescribe.ua” for everyone who subscribes to it on the registration page of the project (https://tinyletter.com/Shakescribe_ua). Each week the subscribers get informational e-mails with interesting facts about the wide range of Shakespearean topics (curiosities concerning the Bard’s biography, screen and stage versions of his plays, Shakespeare’s presence in modern art and mass-media). All the e-mail issues are supplied with rich illustration materials; each e-mail also contains web-links to pictures, videos, sites that can make the textual information more vivid. Spring 2014: The contest among the school-teachers of world literature “Shakespeare Lesson 2014”. The participants send summaries of the world literature lessons which deal with one of Shakespeare’s works. The jury, which includes the members of our Centre and teaching staff from all over Ukraine, choose 5 best lesson-summaries. The teachers that are the authors of these summaries are invited to the best schools of Kyiv to give this lesson to the unfamiliar class of pupils. The best lessons will be filmed and recorded on DVDs which will be spread among the Ukrainian teachers of world literature. Spring – autumn 2014: The contest of research papers dedicated to the Ukrainian reception of Shakespeare’s works “Shakespeare: the Ukrainian version”. Young scholars – students and post-graduates – can take part in the contest. The papers should deal with the intertextual traces of Shakespeare’s works in Ukrainian literature, with the problems of Ukrainian translations of the Bard’s legacy, theatrical versions of his plays, etc. This event is sponsored by the Ukrainian National Women’s league of America. Summer 2014: The intellectual quest for students “Shakespeare forever!”. Student teams (each has up to 9 members) which represent different cities of Ukraine come to Lviv and compete for the title of “Shakespeare experts”. They fulfill various tasks – answer questions, make project-work, present the results of it. After the competition all the teams can attend some special events – Shakespeare theatrical master-classes, Shakespeare coffee-break and the round-table seminars with the leading Ukrainian scientists. 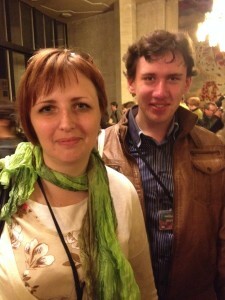 We would appreciate your help and your kind advice in implementing the Ukrainian Shakespeare Project 2014. For us it’s very important to know about your experience of arranging such events, you can also share with us information about the events that will be held in your country to commemorate the Shakespeare’s anniversary.